The apex court observed that such things cannot be ignored and recusal of a judge cannot be asked on the ground of conflict of interest. 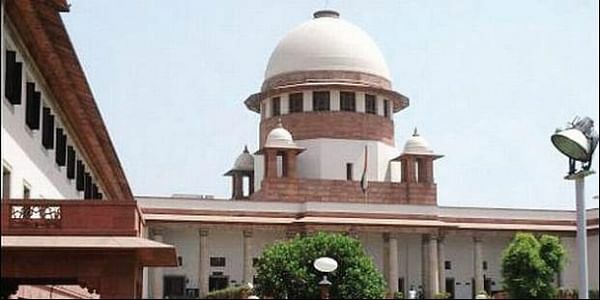 NEW DELHI: The Supreme Court today said it was "highly improper" to allege conflict of interest to seek recusal of the Chief Justice of India (CJI) from hearing a plea seeking SIT probe into an alleged case of bribery in the name of judges. The apex court said it appeared that successive petitions were filed two days simultaneously to avoid the exercise of power by the CJI in allocating cases which was "clearly an attempt at forum hunting and has to be deprecated in the strongest possible words". "It was highly improper for the petitioner to allege conflict of interest in the petition filed that the Chief Justice of India should not hear on judicial side or allocate the matter on the administrative side," a bench of Justices R K Agrawal, Arun Mishra and A M Khanwilkar said. The apex court's order came while rejecting the petition filed by lawyer Kamini Jaiswal seeking an SIT probe into an alleged case of bribery in the name of judges. The bench said there was no conflict of interest in such a matter and making such "scandalous remarks" also tantamount to interfering with the administration of justice. "In case judge is hearing a matter and if he comes to know that any party is unscrupulously trying to influence the decision-making or indulging in malpractices, it is incumbent upon the judge to take cognisance of such a matter under Contempt of Courts Act and to deal with and punish such person in accordance with law as that is not the conflict of interest but the purpose for which the entire system exists," it said. The bench said "it would be the saddest day for the judicial system of this country to ignore such aspects on the unfounded allegations and materials".